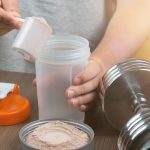 You’ve probably already heard about egg white powders and how they’re supposed to be a great alternative to products like whey and casein. But did you know that not all egg white powders are meant to be consumed the same way? 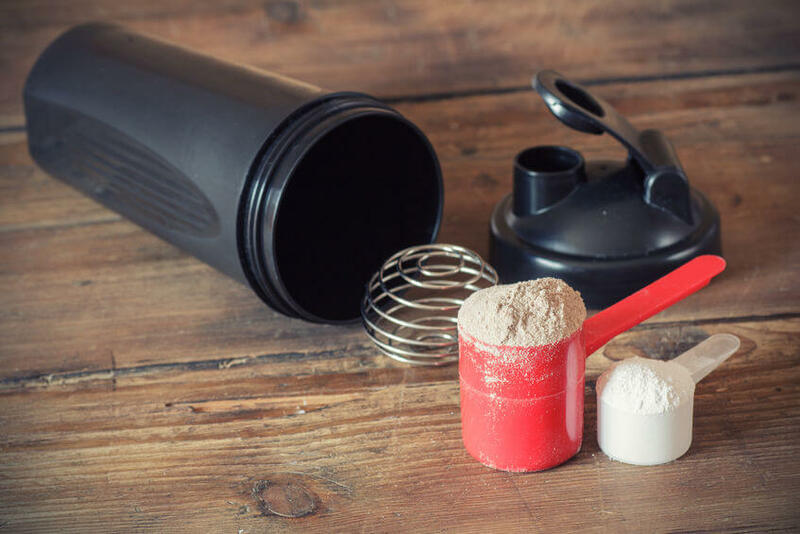 Today, we’ll take a look at 7 of the best egg white protein powder products you can use and I’ll show you some of the top ways to use them. Are Egg White Protein Powders Worth It? Are Egg White Protein Shakes Good For You? Is Egg White Powder Safe? What are the Amino Acids in Egg White Protein Powders? Is Egg White Protein Better Than Whey? Is Egg White Protein Powder Good for Weight Loss? Is Egg White Protein Powder Good for Muscle Building? What Else Can I Use Egg White Protein Powder For? 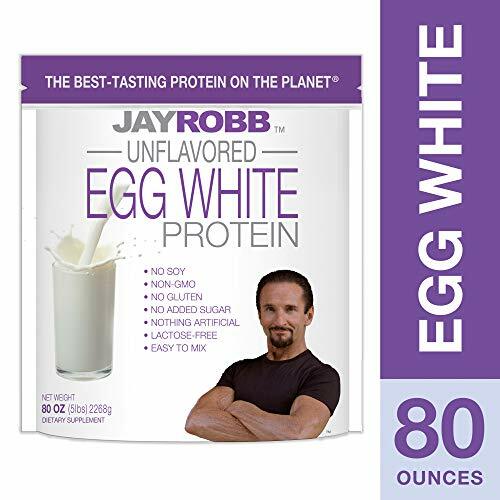 Review: Made with nothing but pure egg whites and sunflower lecithin, the unflavored variant of the Jay Robb Egg White Protein is definitely one of the purest options around. If you’re looking for something with flavor, though, this product also comes in vanilla, chocolate and strawberry. Obviously, these variants would have a couple more ingredients, but they’re still made with the same pure egg whites. All in all, this product can rival even the best organic egg white protein powder products around in terms of purity. Packs 24 grams of protein for every 33-gram scoop. Designed to be easy to blend. Eggs come from growth hormone – and antibiotic-free chickens. Available in both unflavored and flavored versions. Flash pasteurized so it’s safe to consume directly. Unflavored variant is not 100% flavorless. Flavored variants use xylitol as a sweetener, which some people have trouble digesting. If a ready-to-consume egg white powder is what you want, then you should definitely check this product out. It’s flash pasteurized, so it’s free from any of the harmful substances typically found in raw egg whites (details in the FAQs section). Just be sure you don’t have any issues with xylitol if you ever decide to get the flavored variants. 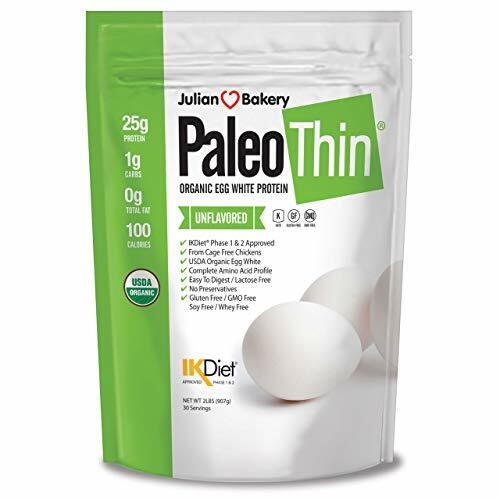 Review: Aimed specifically at people on the paleo diet, Julian Bakery’s Paleo Thin Egg White Protein packs 25 grams of protein per 30-gram serving, which is slightly more than that of the Jay Robb Egg White Protein. Unlike the latter, though, it uses raw egg whites, so it’s best if you use it in recipes that require cooking instead of consuming it directly. Has only 1 carb per scoop. Manufactured with the highest quality egg whites. Unflavored variant works well with smoothies. Comes in seven other delicious flavors: pumpkin pie, blueberry tart, chocolate, cinnamon roll, coconut cream, espresso and glazed donut. Potentially not safe to consume directly. Unflavored variant is not completely flavorless. Whatever your cravings are, you’ll most likely find a Julian Bakery egg white powder for it, thanks to the wide range of great flavors the company offers. The only downside is that this product uses raw egg whites, so it’s probably not safe to put in your shakes without cooking. 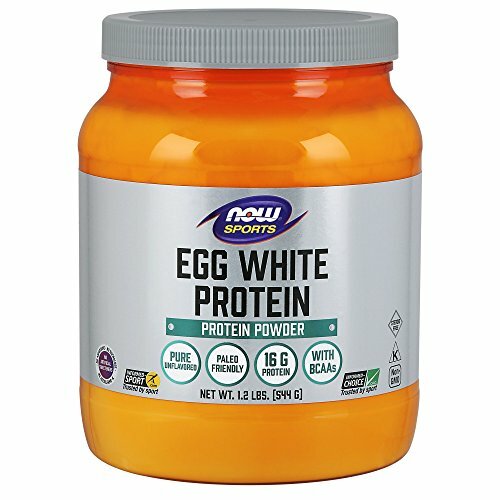 Review: With 16 grams of protein in every 20-gram scoop, the NOW Sports Egg White Protein packs a whopping 80% of protein in every serving, tailing Julian Bakery’s by only 3%. And, to top it off, it also has BCAAs, which makes it the perfect supplement if you regularly engage in sports or other forms of vigorous exercise. Just couple it with a good pre-workout and you’re good to go. I’ve compiled a comprehensive list of the best organic pre-workouts for you here. Considered as one of the highest quality protein sources based on the Protein Digestibility Corrected Amino Acid Score (PCDAAS). Pasteurized so it’s perfectly safe to consume out of the tub. Corn, dairy and soy free. It’s essentially just pure dried egg whites, so it’s not meant to be consumed on its own. Can be challenging to mix without a blender. If you’re particularly athletic, then this is the egg white protein powder for you. It contains BCAAs, which help you not only preserve lean muscle during intense exercise, but also burn more fat, build more lean mass and feel more energetic. Review: One of the few products that can rival the Jay Robb Egg White Protein in terms of purity, True Nutrition’s unflavored Egg White Protein contains absolutely no other ingredients aside from egg whites. It’s also available in chocolate fudge brownie and French vanilla, however, in case you want something flavored. It provides 25 grams of protein in every 30-gram scoop. Excellent protein content per gram. Unflavored variant is made with 100% pure egg whites. Contains only 1 gram of carbs per serving. Uses raw egg whites, so it’s probably not safe to consume without cooking. Produced in a facility that processes milk, peanuts, soy, fish, nuts, fish, trees, wheat and crustaceans/shellfish. This product is another great option if you want the purest egg white powder possible. The only downside is that, just like the Julian Bakery Paleo Thin Egg White Protein, it’s made with raw egg whites. To be safe, be sure to cook it before consuming. 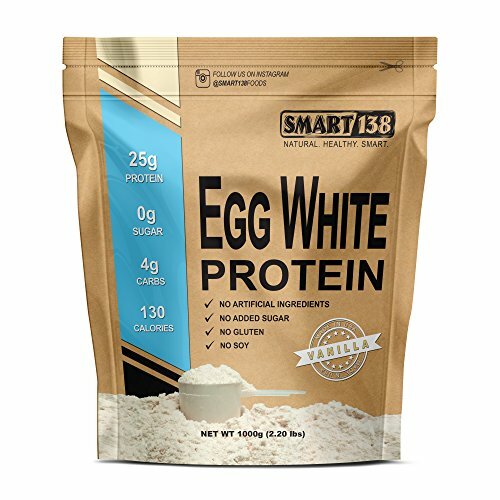 Review: Packed with 25 grams of protein and 5.15 grams of BCAAs per 33-gram scoop, the Smart138 Egg White Protein is another great option for athletes. The brand prides itself in using nothing but wholesome, all-natural ingredients – even for its flavored variants. Its goal is to provide you with more of what your body needs and less of what it doesn’t. 100% soy and dairy free. Available unflavored but also comes in chocolate, vanilla and chocolate peanut butter. Flash pasteurized so it’s ready to consume out of the pack. Can be tricky to mix. Just like the NOW Sports Egg White Protein, this product is a solid choice if you workout or do sports a lot. It’s designed to help you keep and build muscle, torch fat more easily, recover faster from each training session and have more energy during exercise. And, as a bonus, it’s designed to be perfectly safe to consume right out of the packaging since it uses eggs that have already been flash pasteurized. Review: With 25 grams of protein in every 33-gram serving, the Source Nutrition Egg White Protein is definitely worth considering. It’s made with all-natural ingredients and comes in milk chocolate, vanilla cream and, soon, strawberry. Instantized so it’s easier to mix. Contains zero artificial flavors, sweeteners, cholesterol and lactose. Good protein content per scoop. Contains way more ingredients than the other items on this list. Some people still find it hard to dissolve despite it being instantized. Unclear whether the egg whites used are at least pasteurized or not. 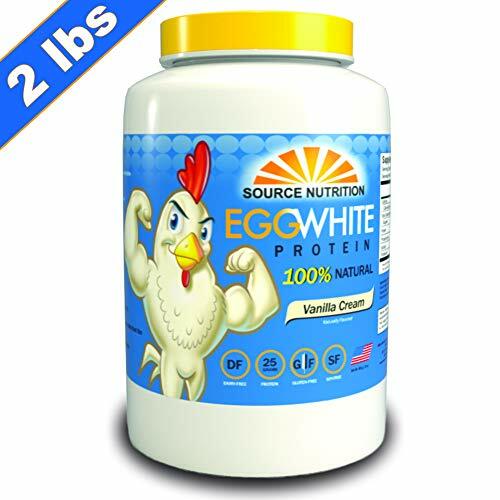 If you’re not particular about the number of ingredients in your egg white powders, then this product can definitely be considered a worthy contender based solely on its good protein content per gram. But, since it’s not explicitly stated that the egg whites the product uses have been pasteurized, be sure to cook it first before consuming. 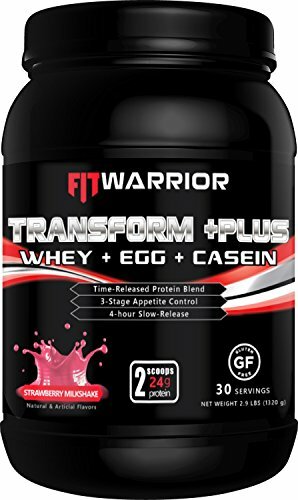 Review: If you want the high-quality protein from egg whites but don’t really mind throwing other protein sources into the mix, then Fit Warrior’s three-in-one product is perfect for you. 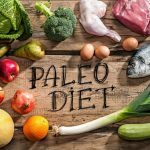 It has a lower protein content per gram than the other items on this list at just 24 grams for every 44-gram scoop, but it makes up for this by having higher levels of the other two essential macronutrients. Has good levels of all essential macronutrients protein, fat and carbs. Contains both slow- and fast-release protein sources. Has other beneficial nutrients, such as vitamin C, calcium and fiber. Available in five delicious flavors (strawberry, cookies & cream, banana, cappuccino, and vanilla). Has a higher price tag than most other items on this list. Less is not always more. In this case, more is definitely more. 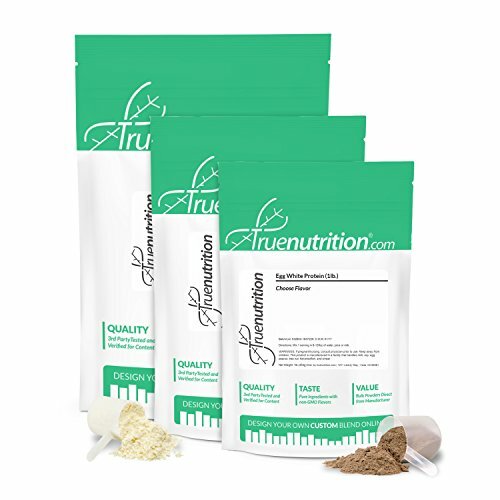 This product just gives you more of everything: more macronutrients, more micronutrients and more protein sources. You should definitely check it out if you’re not particularly looking to have your egg white powder pure. Egg whites are one of the best protein sources known to man. They’re packed with not only all nine essential amino acids, but also a good mix of non-essential ones, allowing them to provide you with more of the building blocks you need to get bigger and stronger. This is why the best egg white protein powder products to use are those made with pure high-quality egg whites. Products containing a lot of fillers may not have the same nutrient profile, and, as such, may not produce the same results. The good news is that all the brands I’ve included in the list above are considered by a lot of people to be some of the best egg white protein powder products around, so they’re definitely a great place to start your search for a product to use. But before you go out and buy your first tub, let’s take a look at some other important considerations first. Egg white powders are typically more expensive than whole eggs – which is understandable because they’re processed to be more convenient. The question is: are you willing and able to pay extra for a more convenient protein source? The last thing you want is to burn a hole through your wallet just to save a couple of minutes in the kitchen. Egg white powders generally either use raw or cooked/pasteurized egg whites. The former is not really safe for direct consumption – more on this in the FAQs section – while the latter is ready to consume or be added to your favorite smoothies. Be sure to check the label first before making the purchase. While not nearly as common as lactose intolerance, allergies and intolerances to egg whites do exist. Obviously, if you have them, then it’s best to look elsewhere for protein supplementation. The good news is there are a lot of other protein powders you can use. 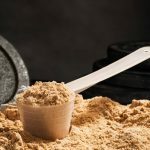 I’ve compiled a comprehensive list of some of the best protein powder brands at your disposal here. If you’re planning to consume your egg white powder straight, then you’d probably want something flavored. Fortunately, you don’t have to go far to look for options. I’ve included some of the best tasting egg white protein powder products for you in the list above. Unflavored alternatives typically taste too bland to be consumed on their own – which, interestingly, is what makes them perfect for adding to smoothies or any other recipe that requires virtually flavorless egg whites. As a general rule, it’s best to choose products that pack as much protein per gram as possible for the price you’re willing to pay. Don’t just look at the protein content under the nutrition facts. Check it against the serving size to determine the actual amount of protein you’re getting from every single gram you consume. For instance, at first glance, 20 grams of protein for every 30-gram serving might seem better than 15 grams of protein for every 16-gram serving. But if you do the math, you’ll immediately find that it’s actually the other way around. Yes, egg white protein powders are worth it if you’re looking for a convenient, high-quality protein source. 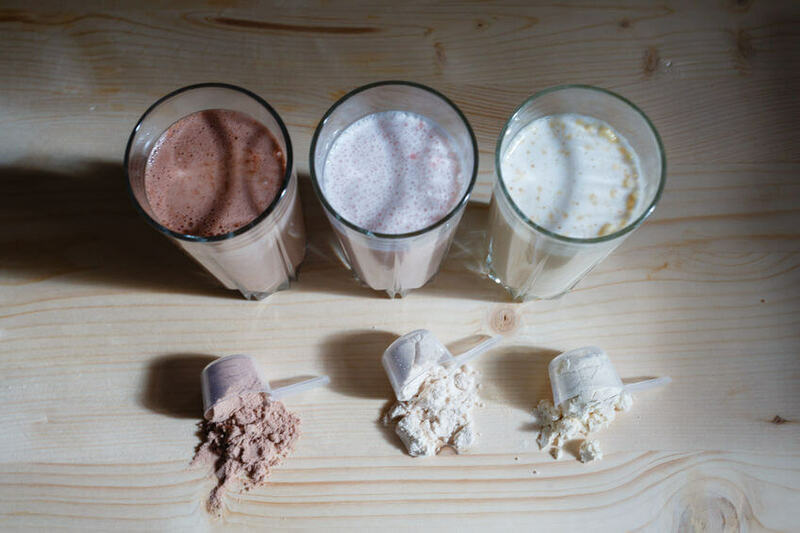 Unlike alternatives like whey or casein, you can use them not only as a ready-to-consume protein supplement, but also as an actual egg white substitute for recipes such as pastries, omelets and flans depending on the specific type you get. Obviously, if you’re already eating enough protein, consuming more would only make you fat because it’s still calories you don’t need. 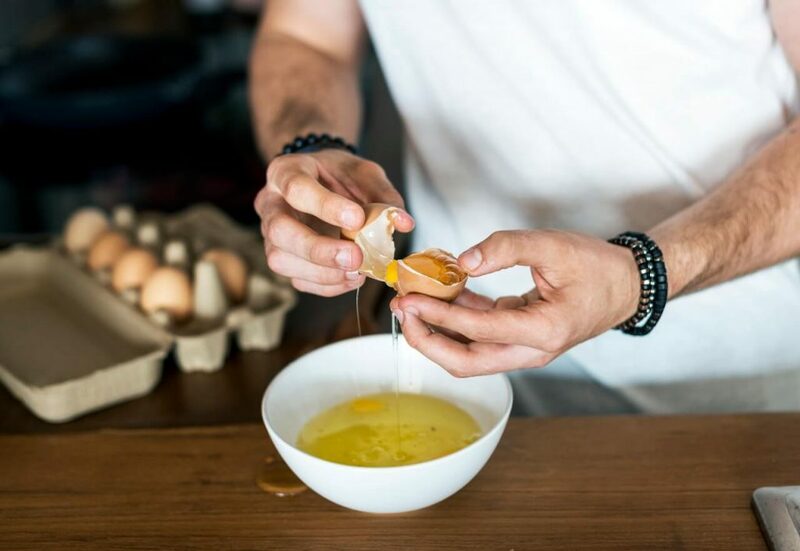 As for the second instance, on the other hand, there’s really no reason to spend extra on pre-prepared egg whites when you have the time to prepare them yourself – unless you have money to spare and just want the extra convenience. Yes, as long as they’re made with high-quality pure egg whites. Considered a complete protein source, egg whites are known to contain all nine essential amino acids that your body needs to not only build muscle, but also stay in peak condition. They also have a host of beneficial micronutrients, such as riboflavin, vitamin B-12 and potassium. If you buy a protein powder that’s made with pure egg whites, then you’ll practically get these exact same nutrients but in powder form. At the end of the day, the only real difference between whole and powdered egg whites is that the latter is much more convenient. Yes, but only if the product you’re buying does not use raw egg whites. 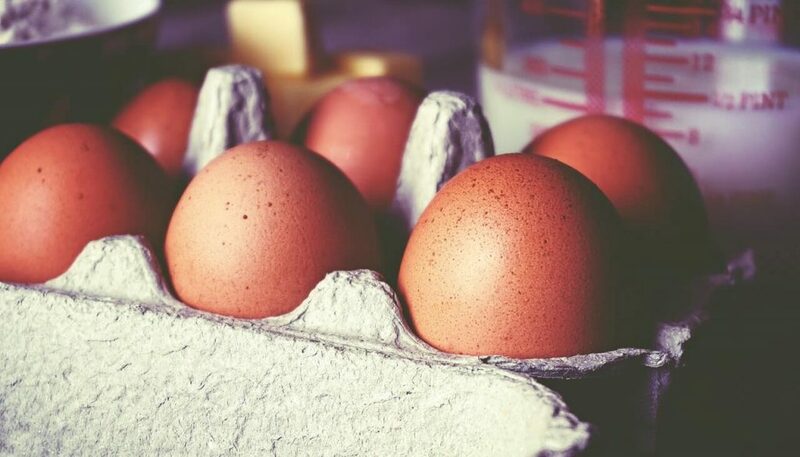 Consuming raw egg whites puts you at risk of exposing yourself not only to salmonella, but also to biotin deficiency due to the protein avidin they contain. So, be sure to check the label of your chosen egg white protein powder to know whether or not the egg whites they use have been cooked before buying. But don’t count products made with raw egg whites out just yet! They should still be fine to use if you cook them first before consuming them. Egg white protein powders, just like whole egg whites contain all nine essential amino acids isoleucine, histidine, lysine, leucine, phenylalanine, methionin, tryptophan, threonine and valine. Long story short, if you want a high-quality protein source, it doesn’t really get any higher quality than egg whites. While both are great convenient sources of high-quality protein, for example, the fact that a lot of people have issues with dairy makes egg white powders the slightly better choice for most people. Again, allergies and intolerances to egg whites also exist, but they’re not nearly as common. Where whey one ups egg white powders, though, is in the total macronutrient content. While the former normally comes with carbs, fat and protein, the latter typically only contains protein. Of course, this isn’t necessarily a bad thing if a protein boost is all you want. But if you’re looking for that can act as a meal substitute, then whey is clearly the better choice. The bottom line is it all boils down to your specific needs. Even if you consume a product marked as the best egg white protein powder for weight loss, you still won’t magically lose weight. The rules are simple: if you want to get fitter, you need to eat a little less and move a little more. Egg white powders simply supply the protein your body needs to not only preserve lean muscle as you exercise, but also build more of it in case you decide to do resistance training. More muscle, in turn, ups your resting metabolism, allowing you to burn more calories per day even while not doing anything. Yes. The fact that it contains all essential amino acids, along with eight non-essential ones, makes it one of the best protein powders you can take if you want to bulk up. But just like with losing weight, simply consuming egg white powders won’t make you build more muscle. You need to stimulate this growth by following a sensible resistance training plan that constantly challenges you to lift heavier and/or do more reps.
As I’ve shown you earlier, aside from consuming it straight or adding it to your smoothies, you can also use your egg white protein powder in bread, cakes, omelets and practically any other recipe that normally uses egg whites. A quick Google search should give you a lot of good recipes to start with. If you decide to consume your egg white powder straight or add it directly to your smoothies, though, be sure that it is made with cooked or at least pasteurized egg whites. Again, raw egg whites can cause a host of health issues. If it’s a convenient high-quality protein boost you want, then you’d be hard-pressed to find a better source than egg white powders. 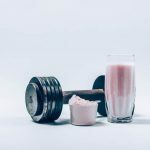 Just be sure to stick to products that use pure egg whites instead of fillers and artificial substitutes for best results – which, fortunately, is a condition practically all the items in the “best egg white protein powder products” list above satisfy. Do you enjoy this type of content? Sign up for our free newsletter now by entering your email in the box below! You’ll get exclusive access to tons of unreleased content that only our most valued followers get to see! BCAA vs. Whey Protein – Which One Wins? Debate Ends HERE!